I found my Indian culinary calling 20 years back and there has been no looking back ever since. 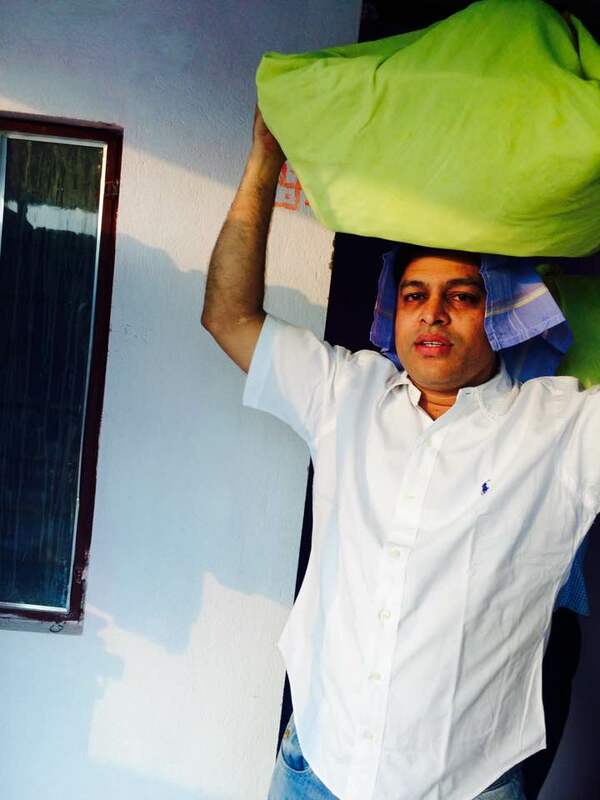 Having sharpened my creative and innovative skills with stints at some of the great hotels all over India. I began my culinary career at the Indian Institute of Business Management in Patna, Bihar in 1994-1997. Currently, I lead the culinary brigade at award winning restaurants Dilli32, The Leela Ambience Convention Hotel, Delhi. 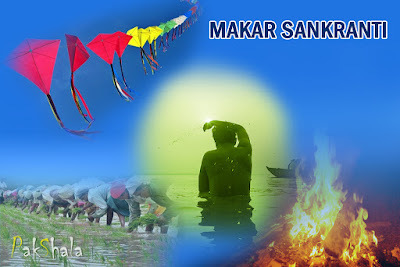 Makar is rashi and Sankranti means the movement of sun from one rashi to another. Makar Sankranti is mainly celebrated on 14th January every year. It is one of the most auspicious days for Hindu all over India, Indian sub-continents and overseas. 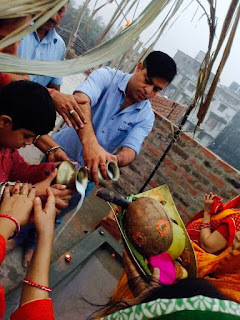 The auspicious festivals have been there for many years .The Vedic story also speak that Hindu auspicious celebrations are based on season and natural power elements... From that era people purify themselves by taking bath in Ganga, Yamuna and other holy rivers, they also visit auspicious place and worship Lord Surya and seek blessings. According to Mythology, “In the Mahabharata, the Gangaputra Bhishma Pitamah clearly mention that he will wait till Sun would become Uttarayan after that he will get Moksha from his life”- Unke Pass Ekcha Mirtu Ka Bardan Tha. It is believed, if there is a possibility of liberation from death in Uttarayan the person will get Moksha from the life. Festivals remind us of our childhood. On Makar Sankranti we wake up early and take bath(it’s a mandatory) and Mother gives us Kala Til and Kacha Chawal to touch for 5 times. On Makar Sankranti a bath in the early morning is said to remove all sins. The first thing which we get to eat is made of Til. Tilkut, Til ka ladoo, Lai, Chura dahi and Aloo gobi mutter ki subzi is served that day!!! 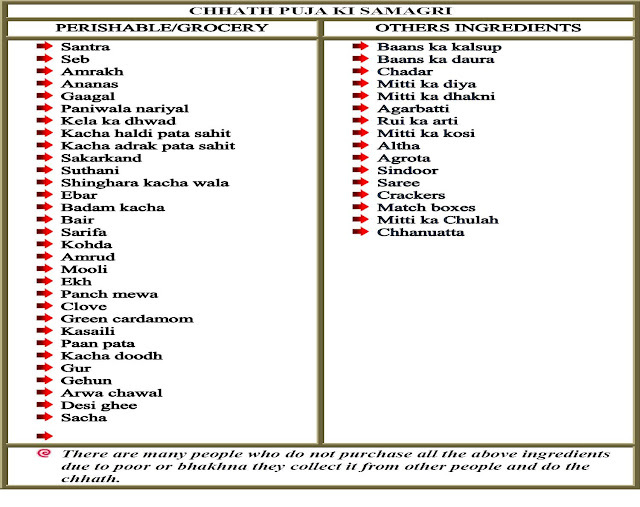 Dahi chura- The difference is, here the quantity of curd is more then chura approx. - 1/2 kg curd and 100 gm of chura. Rest of the process is same as Chura Dahi. 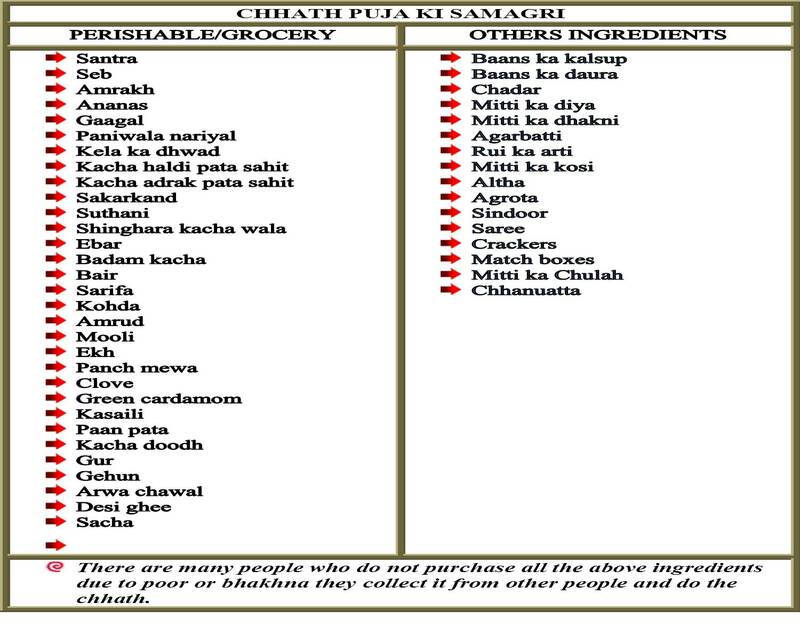 Ask any Maithili Brahmin about this, he will proudly say how much he loves Dahi Chura. In Assam Magh Bihu or Bhogali Bihu celebrated on the last day of Pusya and the first day of Megha. Bihu is derived from the Sanskrit word Visuvat. Piling up firewood to form a Maji (Temple-like structure) and setting fire to it is an important part of this festival. The whole day is spent in feasting, singing songs and dancing. Pitha, Laaru, khazoor ka gur are eaten all over the Assam. That day in the morning Assamese people take Jolpan (light meal) i.e. Chira or Muri. Traditionally Jolpan consist any form of rice eaten with mostly curd and gur. Tamil nadu a down South state celebrate this harvest festival by the name of Pongal and the name of the festival is related to the very special sweet dish special for this festival called as Sakarai Pongal (sweet pongal).The farmers and common people wait for this day and celebrations are marked for four days begins with Bhogi the day before the Pongal, it is the day when they burn the old things and residues of crops , next is Pongal day, starts with early morning cleaning of houses and preparing pongal in courtyard. 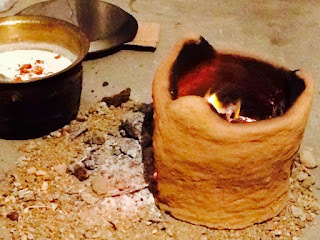 They arrange for age old practice of fire in bricks and cooking pongal in clay pot with sugarcane standing on four side guarding bricks and turmeric plant. The new rice is boiled with milk and jaggery and whole family waits aside, with the first boil of milk all says pongala -pongala to rejoice the cooking of pongal, they worship Family God with this pongal and whole family eats this as their first meal of the day. Next is the day of matu pongal followed by kanu pongal. The day’s speciality is linked with worship of cattle’s at house and ancestors along with having merry time with family and friends. Gujarat also host International kite festival on the second week of January every year. 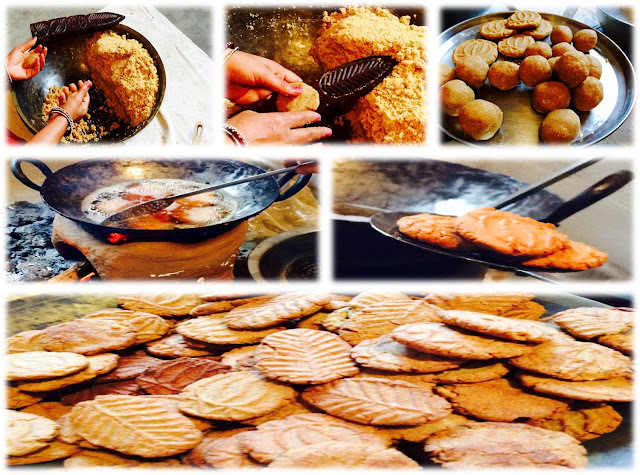 My childhood friend Santosh Patel who lived in Surat after passing out from Kendriya Vidyalaya No-2, Bokaro, Jharkhand say,” Undhiyu, Puri, Jalebi and gur aur moongphali ki chikki are the main attraction on the uttarayan menu". A winter dish undhiyu traditionally cook in earthenware and eaten with puri. Surti papdi, moothia, ripe banana, brinjal(Rawaiya), ratalu, sakarkandi, dana(batana and Tovar) simmered in coconut, Coriander(Kothamvir) , ginger, green chillies(marcha), salt and pounded spices .Here, celebration continue on the next day also known as Vashi Uttrayan. Vedic knowledge says - ''Seven colours mix together to become an intense glow of white rays of the sun.'' When flying a kite, our body comes in contact with the sun's rays directly, which cure diseases in winter. To engage yourself in the sun light people start themselves busy with some fun activities like flying kite and etc. Kite widely known as ‘PATANG’ is signifies the spirit to fly high in the blue sky. It’s a family game where every age group people enjoy and wants to cut the more kite as they had put their best manjha(a type of paste) on the thread and preparation of it was not an easy job . The word Lohri originated from Loh and Aai, which means Iron foe. Lohri is a popular Punjabi community festival celebrated on 13th January; the last day of the month Poh (Pusya). It marks the end of winter. People (Usually young members) collect Cowdung cakes from their neighbourhood and arrange them in a pyramidal shape in their courtyard. The elder women of the house set fire to it and offering are made into the fire. Traditionally, til and sugarcane are thrown into the fire. People collect ashes in the next morning and taken to their houses as a gift from the god. 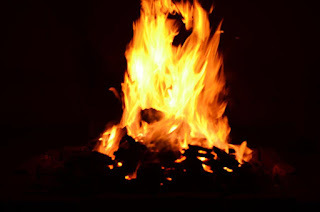 Lohri is associated with harvest festival (Rabi crop) in Punjab. Sarson ka saag and makai ki roti with makhan and gur are eaten everywhere in the Punjab that day. 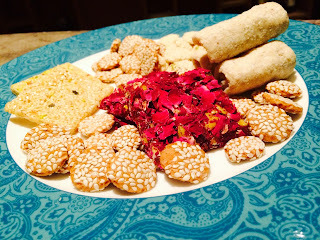 It is tradition to eat Til, Gajjak, Reori, Peanut, Gur and Popcorn in Lohri. The 36 hrs long fasting without water is starts after that. “Daura and Kalsup” are kept on the forehead of male members and all move to the ghat near river side. (Some did it on their rooftop). This is the most enjoyable and responsible task, performed by the male members of the family and ladies keep walking singing the chhathi maiya songs. काँच के बाँस के बहँगिया, बहँगी सतर्क जाएय्… होख॥ न सुरूजदेव सहाय…… बहँगी घाट पहुँचाए…… घाट पर हमहूँ अरधिया देबई हे छठी मइयाँ……. it’s a long song, if you sing you fall in love of it. Kids enjoy crackers throughout the journey……………. The first arghya is called “SANDHYA ARGHYA. Varti does worship in river/pond/ man made water pond. They hold the kalsup in their hands and stand in the water. They move around five times at the same place and every time family members offered arghya of water near the kalsup to Lord Bhasker and take blessings of Chhathi Maiya. Again, Kids enjoy crackers on ghat throughout the ritual ceremony…………. 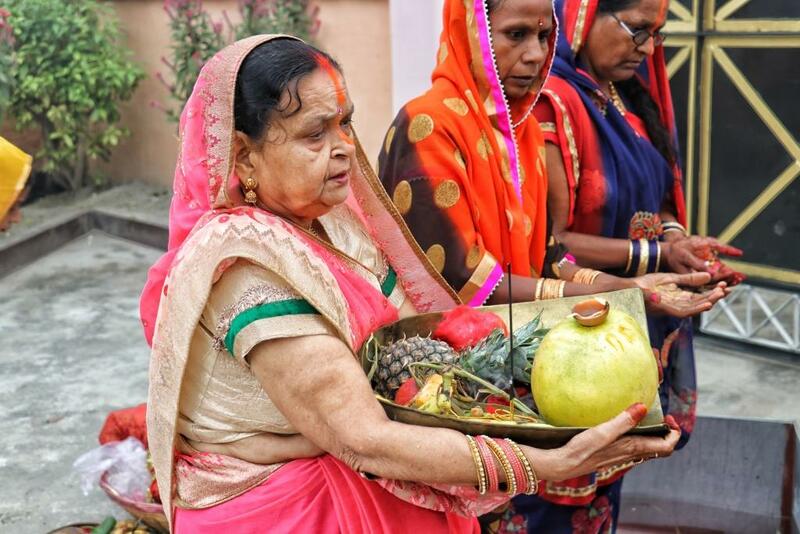 After the first arghya, “KOSI BHARNA” is an event during Chhath Puja. When your manat is fullfiled by Chhathi Maiya, you do kosi bharna. In a beautiful earthen pot (here, sculpture of elephant) which has many diya in it and in the centre of earthen pot, vartis’ put thekua, fruits, sacha, and puri. The earthen pot is kept in the center under the shades of sugarcane stacks. It’s a thanks giving to the Goddess. Kids enjoy crackers on ghat throughout the ritual ceremony…………. Many people stay over the ghat in that night. Many cultural activities are performed by the local and celebrities. 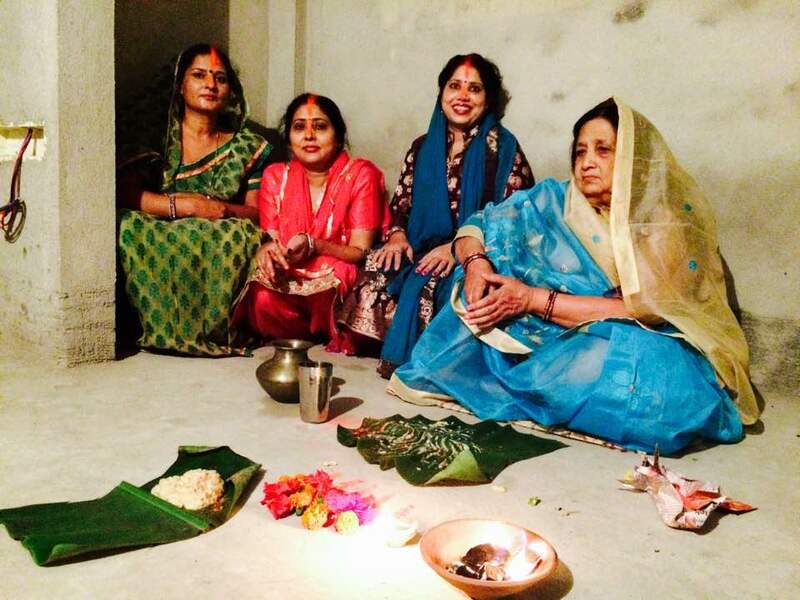 Varti along with family members enjoy chhathi songs to avoid falling asleep. As and when we talk about chhath song definitely one name comes to our mind that is of Sharda Sinha. She is world renowned singer by the virtue of chhathi maiya songs. Those who return back to their houses, wake up at 3:30 am in the morning. The sound of the loudspeaker indicates you to do bath and get ready for the ghat. 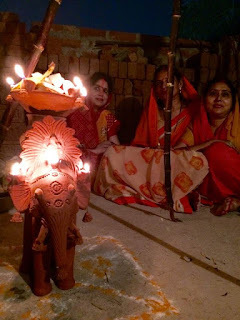 Without any Pandit this ritural of chhath happens in the supervision of the elder family member. The ugthe surya ko arghya is given with raw cow milk. Everyone at the ghat does the milk arghya. After that, we do surya Arti and dhup hawan and put dhup samagri (shakil) five times and this is done by everyone in the family. In chhath the long sindoor on mother’s forehead through the nose, resemble her as goddess. The chhath puja finishes with blessings and we take prasad and seek blessings of Chhathi Maiya and Lord Bhaskar. Vartis’ do sindoor and khoichha ritural to the others ladies. Today is Paran day, all varti’ open his/her fasting by eating thekua. The thekua loaded with sindoor looks very attractive and just melts in your mouth. It’s very soft due to loads of ghee used in the preparation. Thekua is divine and is just out of the world. 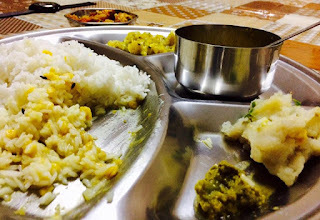 There is a tradition to eat fish in the afternoon as Bihari always consider fish as auspicious. Happy chhath puja to all!!! “Chhathi maiya ki kirpa aap per bani rahe”. 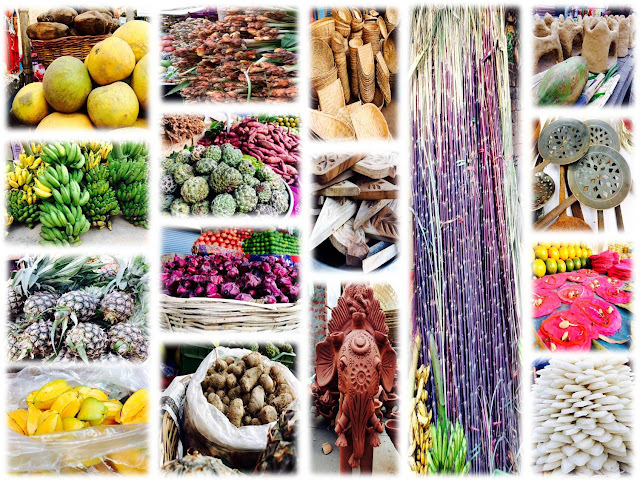 Memories of food are often a powerful reality, which gets imprinted in our mind. My first encounter with biryani was when I was working as a Chef in charge at Maharaja Heritage resort, Balsamand Lake Palace, Jodhpur. This beautiful property of His Highness Mr. Gaj Singh is known for their Royal Marwar food. On his 50th Birthday ceremony, I was cooking for him at Sardar Samand lake palace, Pali, Rajasthan. Soola, Boothan, Sath, Safeed maans, Panchkutta, Mokul, khato and his highness favourite Shikampuri kebab were the selected delicacies in the menu for the gala dinner. I saw our G.M. Mr. Atul Chana of ITC fame, coming towards me and telling that ‘Bap Ji’ (His Highness) has asked for biryani also to be served on the royal table for the dinner tonight. It was an important order to me and that too at the last moment. Well, I have always believed not to get panic in sudden situations like this, instead calm my own self and concentrate in order to try to deliver the best i can within that short span of time. Eventually what I did, I just boiled the rice and then layered it over the safeed maans and cooked. Though, I was skeptical but not afraid at all. Finally the biryani was served to him and he had it. Later he called me up and praised me immensely in front of all his Royal friends. He said to me that this was one of the best Biryani's he ever had till now in a really long period of time. That compliment over my confidence and effort made my day and got embarked in my mind forever. Basically, the Safed maans has all the ingredients which are necessary for a good biryani. Rose water, Cardamom, mace, Fennel, white pepper, ghee, green chilles, ginger, poppy seed, curd and milk- basically it’s a white korma - The trick worked that day. 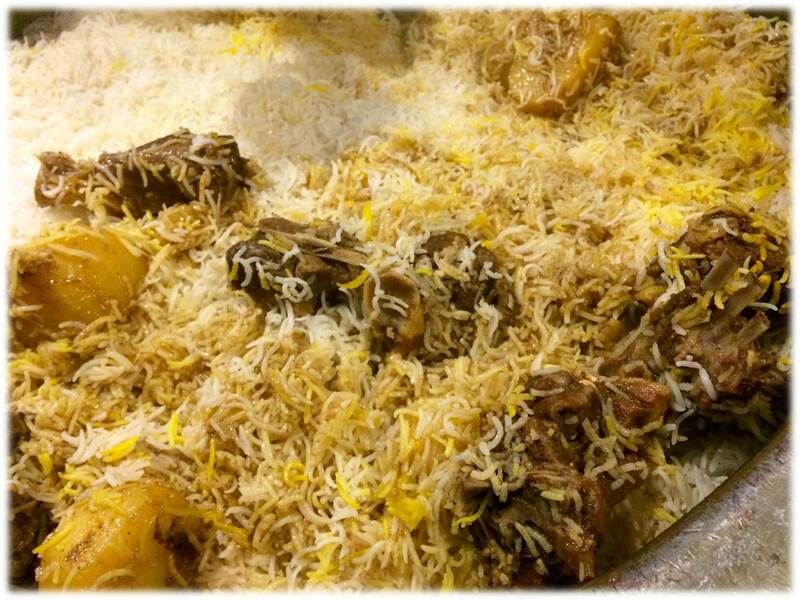 Rajasthan is not known for biryani except Dargah of Ajmer Sharif, they serve biryani deg, called “Sarai ki biryani”. Marwar have Kabuli pulao which is a vegetarian version with vegetables, raisins, cashewnuts etc and they also add fried breads croutons that look like meat. India has a long history of rice cultivation. It developed on the foothills of the Eastern Himalayas. From there it got spread to the rest of the world. In India, rice is a symbol of prosperity and from the past old times it was associated with the rich people, because rice was too expensive to afford. 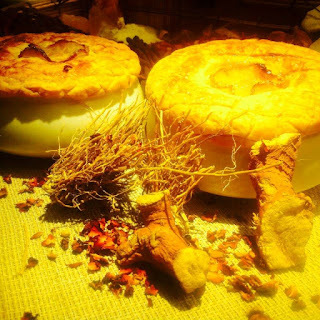 It was cultivated and stored for the special occasions. 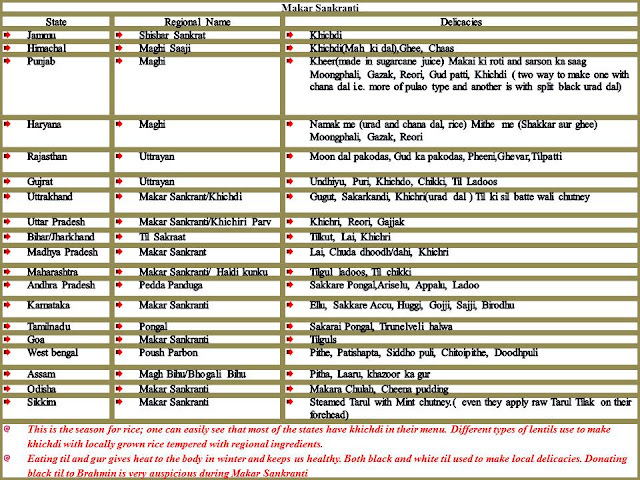 Ghee and milk was also a part of the cooking medium and hunting was very much popular too during Aryan culture. Rice cooked in water called ‘Bhath’ and is accompanied by ghee, curd, and dal or meat preparation. Pulao is a renowned rice preparation and an Indian delicacy being popular from the Vedic time itself. Mahabharata also referred that when meat and rice cooked together then that is a similar dish. A rice preparation with ghee, turmeric, pepper and meat was served to warriors, which is mention in Tamil literature. to Greece and then from Greece to Turkey. Then the pulao which travelled from India to Turkey that eventually returned back to India in the form of 'Biryani' by the Mughals. “Ain-e- Akbari", the Mughal document also states that pulao was familiar with the Indian people. If we consider this statement then, my belief becomes even stronger on it, that the Indian Pulao which was served to the Mughal Emperor's table would have only become biryani further. Since the Muslim cooks were known for their innovation and creation of new delicacies. It might have happened that on the demand of their emperor they might have invented biryani, which was cooked in layers and was much easier to cook rice rather than pulao. Pulao is actually a type of rice preparation, generally cooked in home when there is any special occasion, picnic, festivals or wedding. The preparation of pulao starts with frying meat/vegetables with spices and herbs in ghee (clarified butter), after that water is added which is approximately double the quantity of rice (1’inch above from the level of rice) in the prepared meat/vegetables. Later rice is added and simmered together to absorb the flavours of the spices. This process is called - absorption method. Soaking is very important in the making of pulao, it helps in minimising starch upto a limit and another characteristic is that the grain of the prepared pulao comes out evenly and separately. Very low heat applied from both the sides which gives pulao a definition of what it is!!! 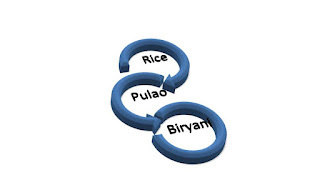 Rice/Pulao is generally cooked by a male Brahmin (Maharaj) due to its huge volume in the ritual ceremonies in India. First, wash and soak rice for 1 hour. Then fry half of the onion in ghee and pound it nicely. Make a paste of ginger and garlic and strain the juice and keep it aside. Marinate the mentioned ingredients all together- chillies, cumin, cinnamon, curd, salt and juice of ginger and garlic. In a pot, fry bay leaf, clove and cardamom and then add the rest of the onion and fry it upto golden. Now, add the marinated mutton and stir nicely till golden brown colour comes in. Simmer it till all the ghee comes on the top and then you can say that meat is cooked nicely. Now, drain the water from the rice and put in the prepared korma. Check the seasoning and when the rice absorbs the juice of the meat nicely, cover it and then cook it on dum. My recommendation to the readers - Soak the rice, drain the water from it and spread it over a table cloth and let it dry first then fry it in the ghee and later add to the Yakhni to enhance the flavours of the pulao. Always keep this in mind, in order to prevent rice to get overdone add little curd to the pulao before adding water/yakni to it. 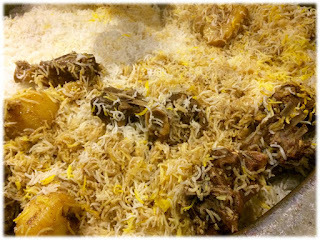 Biryani comes from a Persian word ‘’ Birinj aur Biriyan’’, Birinj is rice and biriyan means fried- literally means fried rice. Apart from this there is no other evidence about biryani nomination. Biryani is a combination of rice and meat/poultry/fish/vegetables. It was brought to India by the Mughals and was spread by them to all over the Indian regions, where they ruled. The traditional Mughlai biryani was not documented even in Ain-e Akbari, it has description only about the types of meal which used to be served, and it was meat with rice i.e. pulao/ biryani. Biryani is a Muslim food and kebab was an accompaniment to the Biryani. Dastarkhwan, a ceremonial spread used to have an array of dishes- from kebabs to Korma and Qaliya all eaten together with biryani. The quality of a cooked biryani can be tested by throwing a handful of it on the ground in a spray. If the grains of rice fall separately from each other then it is supposed to be a good biryani. Biryani is basically a winter dish. Cooking style of biryani is different in every community in India. Necks, Barrah, parchas and ndare are the various cuts of mutton with least fibrous meat which are best suited for preparing Biryani. The good practice of eating habits says that the food rich in blood are supposed to be consumed in winters. Likewise, biryani has the attributes of a man/the warrior and is considered as sexually potent. The yield of the prepared biryani is approx. 1 kg meat + 1 kg rice = 4 kg of biryani. 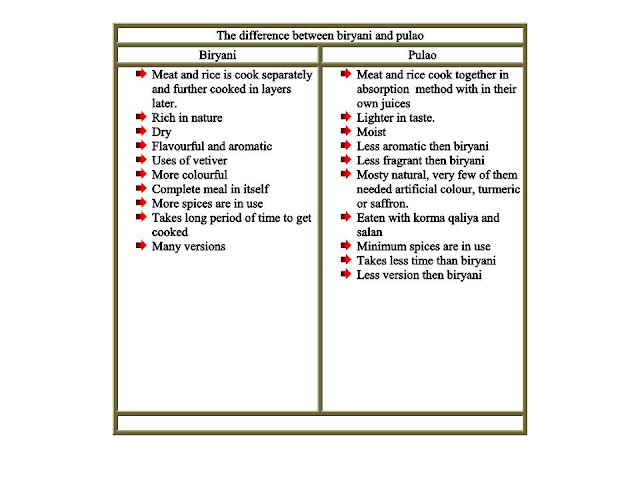 Biryani can be categorised into two forms - ‘Kutchi' (raw) and 'Pukki' (cooked). Lucknowi biryani is known as ‘Pukki’ biryani and the Hyderabadi is famous for ‘Kutchi’ biryani. 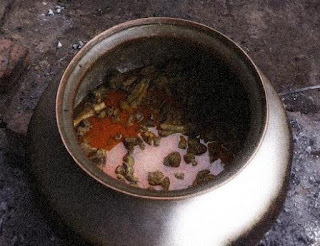 According to the 'pukki' style, meat and rice are cooked separately then layered in a ‘Deg’, brass vessel for the finishing whereas in ‘Kutchi’ biryani style (with raw gravy); meat, marinade and rice are layered raw and cooked in 'Dum'. DEG / DEGCHI: This is a pear-shaped pot of brass, copper or aluminium. The shape of this utensil is ideally suited for the 'dum' method and is used for cooking Pulao, Biryani, Nehari or Shab Deg. Lucknow was ruled by the Nawab Asaf - ud – Daulah, who were of Persian origin. 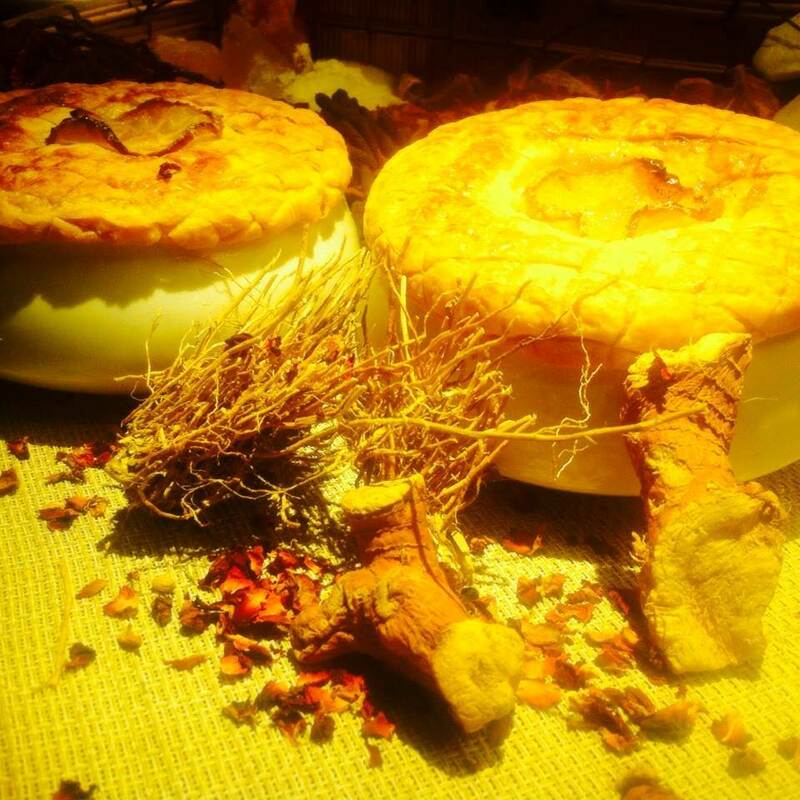 He was a connoisseur and a great lover of cuisine, who is said to have maintained six kitchens and spent vast sums of money inventing fabulous delicacies. Lucknowi, ‘’Rakabdar ‘’developed the ‘’Dum style’’ of cooking in which food is cooked for a long period of time. RAKABDAR: In the Royal kitchens of Awadh, this designation was equivalent to that of today’s Gourmet Chefs. Their job was to look after how the food has been prepared, the process and procedure of cooking, the quality etc, they don't use to cook themselves oftenly and rarely in small quantities if required. Lucknowi biryani is highly aromatic and full of meaty flavours. It is scented with saffron and vetiver, some used to cook it with dry fruits and nuts also. They don’t put tenderizer at all. There are many innovative biryanis by Nawabi Rakabdar in Lucknow. The meat is fried in ghee and cooked with ginger, garlic, crushed fried onion and little milk with warm aromatic spices till the meat becomes tender. The prepared meat yakhni is drain out and jugalbandi of atter with saffron, cardamom and mace are added after checking the seasoning. The nazakat of Lucknowi biryani is that no whole spices should come to your mouth while you are having it. The rice is slightly fried in Ghee, and boiled in the meat broth or water. Cooked meat and cooked rice are layered twice or more in a deg. Saffron or food grade lemon yellow and orange colours are sprinkled on the layered rice. Then the deg is sealed and cooked over low heat. The result is perfectly cooked meat, rice, and a homogenous flavour of aromatic meat yakni, aromatic spices and sweet flavors. The city Hyderabad is known as a land of Biryani in India. The famous Kacchi gosht ki biryani is prepared with marinated lamb and rice cooked together. The use of tenderizer i.e. papaya in marination (Kachi yakni) makes the difference here. The highly aromatic biryani has green and red chillies, peppercorn, star anise, cardamom, kebabchini, mint etc. 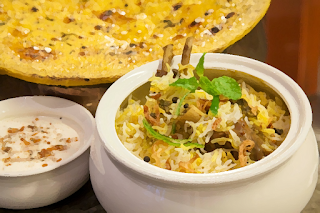 In Hyderabad collection of biryani is rich and vast and in their both preparation whether it is vegetarian or non- vegetarian and has many delicacies. 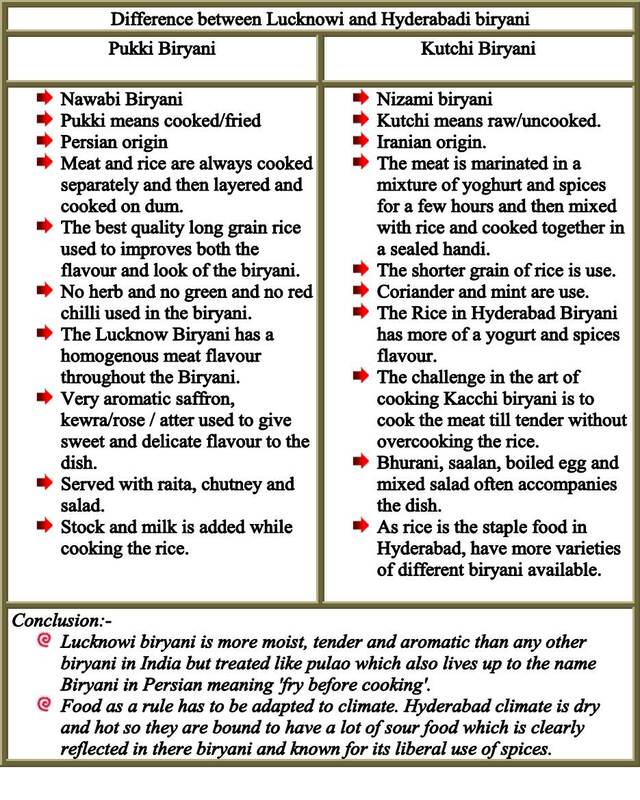 The Hyderabadi Muslims got their food habits from the Mughals. Hyderabad serves both the original Hindu Andra style and Mughlai Hyderabadi biryani which highly influences by Mughal imperial kitchen. One main preparation difference is the use of lemon juice instead of tamarind juice by Muslims. Andhra produced largest chillies which actually reflect in their biryani which is why it is much spicier then north. Here, mirch ka salan and bhurani are eaten with biryani, which helps to aid digestion. Bhurani is a good healthy combination with biryani supposed to prevent constipation occurs due to rice. Mutton is marinated with lemon juice, green papaya paste, curd, onion, garlic herbs and spices with desi ghee. The marination is kept for minimum 1 hr to 4 hr in the fridge. Rice is soaked, drained and cooked in mutton stock or water with potli masala. The first layer of cooked rice is almost 30% done spared all over the marinated mutton and the second layering is of 50% cooked rice is added and spread nicely. Pre-soaked saffron milk is sprinkled all over the rice and more ghee is added on the top. Seal the deg with dough and put the lid on and live charcoal is placed on the top as well and let it cook on slow flame till done. In my early commi days, I used to marinate the meat very well for the kache gosht ki biryani, the only problem I faced was while cooking rice. The timing to take out the rice from the boiling pot and layering it over the meat was very important and one has to leave some water along with the boiled rice while pouring it over the marinated meat. If you didn't maintain the timing it spoils the whole process of making biryani. The biggest challenge for me was to maintain the consistency. Either the grain of biryani were too mashy or the rice/ meat remain raw. Hyderabad is also known for its Pulao, Qubooli Mughal influence rice and lentil preparation. It is also cooked with meat as a non veg option. 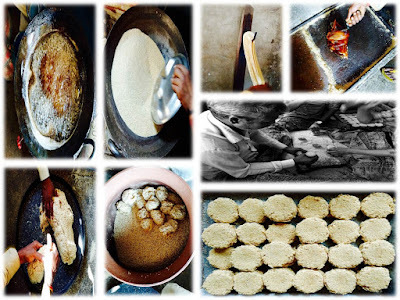 On my grand trunk culinary journey trip, I got chance to explore the biryani of Calcutta. It was quite a knowledgeable opportunity. Calcutta is known for their love towards biryani. One can easily assume that Calcutta biryani is a true copy of Lucknowi biryani. Every aspect of biryani is equally same, only difference is the uses of potatoes in it. If you ask me then, I must say, Calcutta biryani has less ghee and kushboo in comparison to Lucknowi biryani. The best part is that it was light in taste. Basmati the finest long grain rice quality in world comes from India and some parts of Pakistan and known for their aromatic fragrance which is ideal for the biryani and pulao due to their non-sticky characteristic .Both white and brown are very much in use and can give really result good when stored and aged for 2 to 5 years. Old aged basmati rice requires less water to cook in comparison to the new age one. Tahari is neither a pulao nor a biryani, both Lucknow and Hyderabad claim it to be an expert in making of it. Pilibhit ki tahari is one of the most famous one. 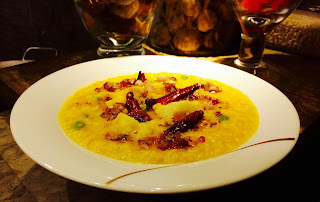 Use of mustard oil and turmeric provides Lucknowi tahari the different taste and texture. Potatoes, cauliflower are cooked with yellow masala rice is the most likely tahari in north India. It appears like a pulao, while the ingredients used are as similar to biryani. 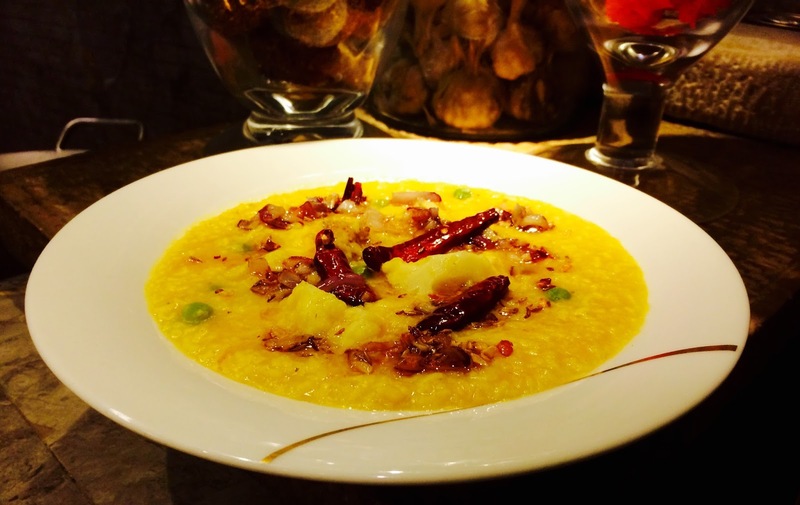 Hyderabadi take on tahari is similar to their dish and is much closer to biryani. One more unique aspect which differentiates tahari from pulao and biryani is that the tahari is comparatively spicier. Food provides nutrition to the body. 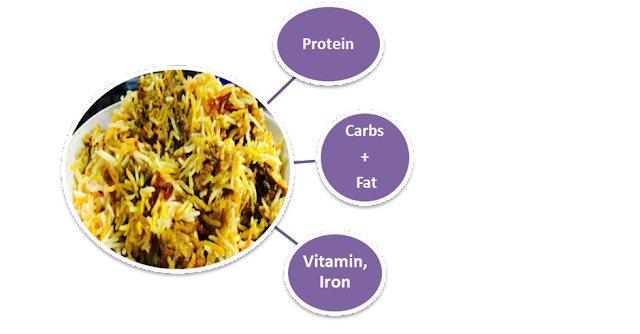 Biryani has all the main five nutrients which required to a good health. That’s why Biryani is a complete meal in itself. If biryani is perfect then it really doesn’t require any accompaniments – don’t remember exactly who said this but heard from many Muslims friends. Now, it’s time to talk about why I am writing or trying to understand biryani. The reason lies in my previous article on curry; someone has requested me to write about biryani as well. Honestly speaking cooking rice is a very difficult subject to handle in home as well as in hotel business. One has to be perfect while dealing with biryani and pulao even simple rice needs experience to cook it perfectly. Kehtey hain, “Aag, Hawa, Pani Aur Nazar ka khumar hai cooking”, ya phir kahe to, “haath ki safai hai”. Here, I am not trying to claim any statement it is just for the viewers reading pleasure. All right reserved@pakshalaindia.com. Simple theme. Theme images by Synergee. Powered by Blogger.